Most people search for different activities on a Sunday than on every other day in the week. Some people like to take it easy because of religion, others like to relax because they had a party the day before. Lucky enough Berlin offers more than just great parties: There are plenty of relaxing things to do on a Sunday in Berlin. One of my favourite activities on Sunday is still to visit the Karaoke in Mauerpark. The Mauerpark is a park in the north of Berlin not far from station Gesundbrunnen. On a lazy Sunday in Berlin it the perfect place to hang around and enjoy the versatile activities. You can grill in the park, every Sunday there is a large flea-market with secondhand products and many people gather around livebands which are playing at random spots in the park. All these activities request a minimum of physical exertion but are still very satisfying. 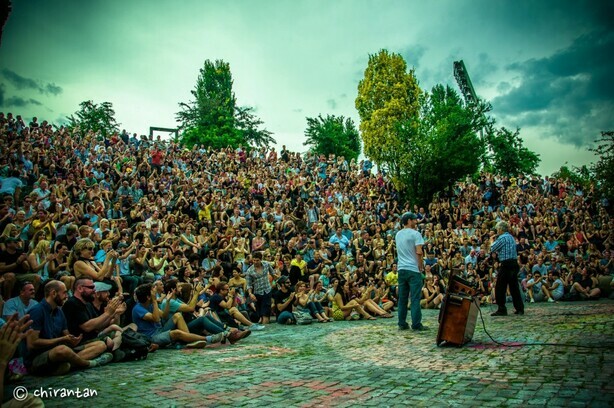 But the greatest thing the Mauerpark has to offer on Sunday is probably the Bearpit Karaoke. Karaoke is usually associated with bars and tipsy people but this image will change as soon as you visit the Mauerpark. Every Sunday in Berlin thousands of people visit the Mauerpark to enjoy the karaoke-performances of a all kinds of random people. 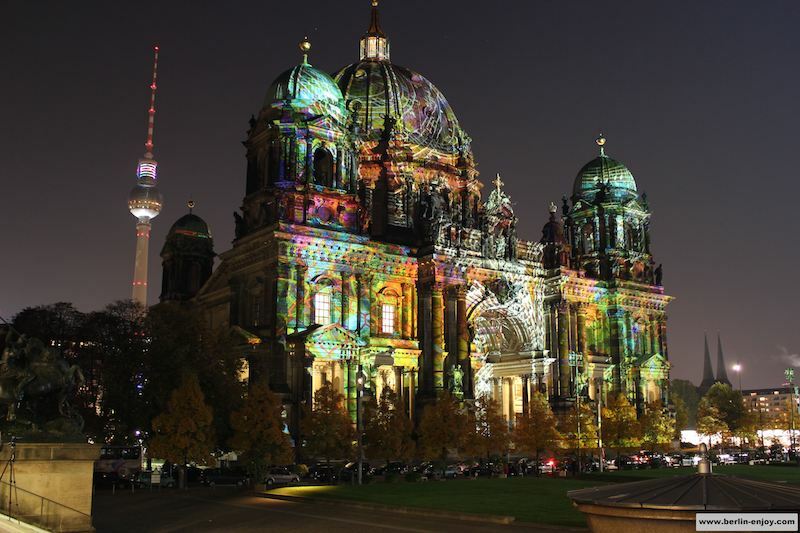 It started quite small in 2009 (see info below) but has become very popular and is one of the main attractions in Berlin during the summer. The story behind the Karaoke in the Mauerpark started with a guy called Joe Hatchiban. Since 2009 Joe Hatchiban has been travelling around with his battery-powered speakers, giving many people the possibility to discover the artist inside themselves. Besides festivals, street-performances and christmas markets Joe is mainly famous because of his Bearpit Karaoke in Mauerpark. 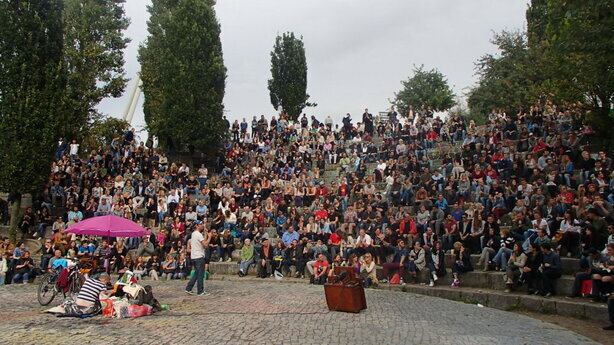 Every Sunday thousands of people find their way to the amphitheatre of stone in the Mauerpark to enjoy other people sing and dance. The greatest aspect of the Karaoke in Mauerpark is probably the awesome atmosphere. There is simply nobody who dares to be annoying and even less talented singers get the full support of the crowd: You do not hear a single “boo” during the whole Sunday which makes this activity so great. Besides that, Joe Hatchiban is doing a great job by adding some humor to the whole thing and choosing exactly the right singers. The mix between young/old, male/female and talented/funny makes you want to spend your whole Sunday in Berlin here. You worried about being thirsty: Smart people are walking around selling cold drinks to the crowd. 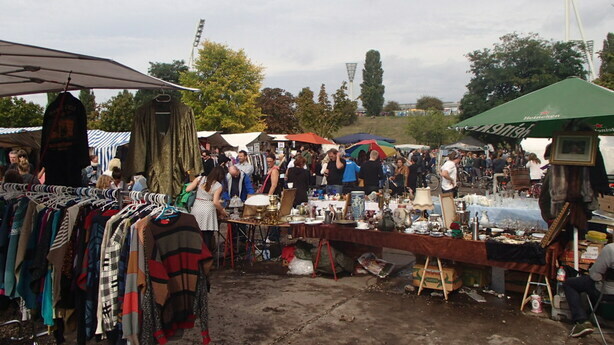 Besides the Karaoke, the Mauerpark is also famous for its Sunday flea market. Especially during the summer this flea market is very popular and can be quite busy. From secondhand clothes to selfmade painting and from special types of food to electronics, you can find it on this flea market. Everybody is welcome to sell stuff: If you bring your own table it costs 10€ per meter and if you want to rent a real stand it costs 35€. On Sunday in Berlin most normal shops are closed so this is a great way to do some shopping in Berlin. 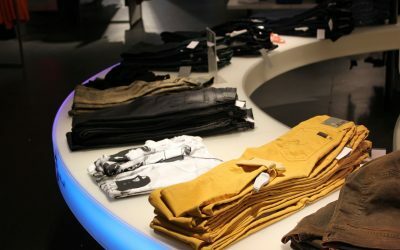 You will find unique products and most of the time they are a lot cheaper. If you are interested in visiting one of the karaoke-sessions on a Sunday in Berlin you can read a lot of information on the bearpit-website of Joe Hatchiban. In the Summer Joe is around with his speakers every Sunday but when the weather gets colder the Karaoke sometimes gets cancelled. Therefore it is smart to keep an eye on the facebook-page to make sure you do not get disappointed. The Mauerpark is most easily reached from station Eberswalder Straße. If you decide to go by car or bike you can insert the address Bernauer Strasse 63-64 which is a good spot to enter the park. Because it is a massive park, there is no real entrance and you can bring your own drinks and food if you like. Hopefully this article motivates you to visit the Karaoke in Mauerpark when you are in Berlin on a Sunday. it depends on the weather and some other factors. It is probably best to keep track of their Facebook-Page. Is there any fleamarket in december in berlin ? as far as I know the flea-market at Mauerpark will still take place in December. Hey bro, we are Out of the Blue. A Rock’n’Folk band from Brazil. We will be touring in europe this month. We will be in Berlin from 24 to 26 of July. Do you know a venue that we can play? We are seeking for good places that we can share our songs. 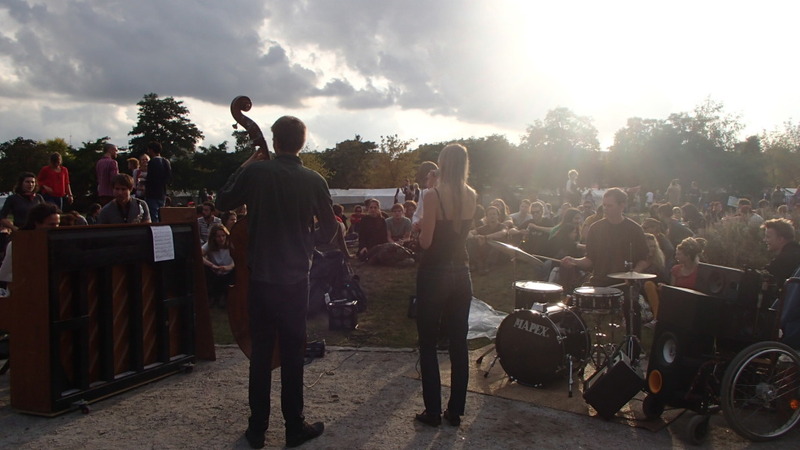 Of course we will be at the mauerpark on sunday as well! We just released our debut album that you can check on spotify and Itunes. The album: let’s talk about dreams. Band: Out of the blue. Mauerpark would be a great place to play. As far as I know there are not many other similar places in Berlin. 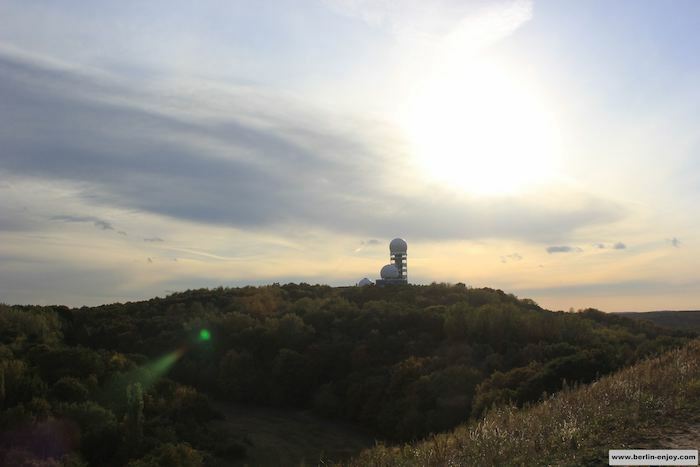 You could just visit a park (Treptower Park, Volkspark Friedrichshain) and play over there. But you will probably be the only one.